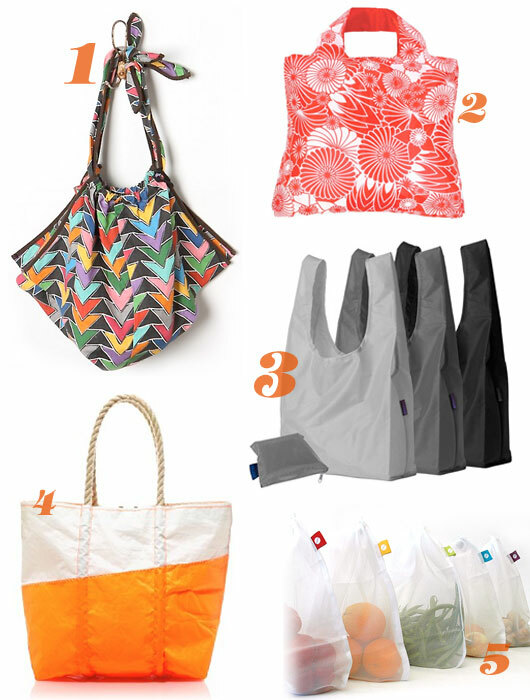 Kitchen La Bohème: GREEN THINGS | Shopping Bags! GREEN THINGS | Shopping Bags! Summer is quickly approaching. While you're out and about around the city, what are you going to carry your groceries, purchases and other things in? Hopefully not plastic! Each and every one of these hot reusable bags is not only eco- but also vegan-friendly (and one set is even manly).